Ya'll are in for a real treat as I tour you through the home. 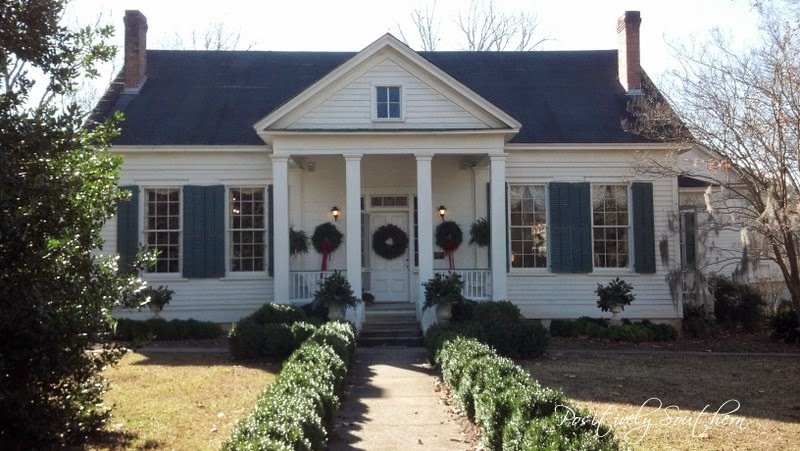 The home is an 1820 Greek Revival, a spacious 4,200 square feet, the restoration of the home has been meticulous. 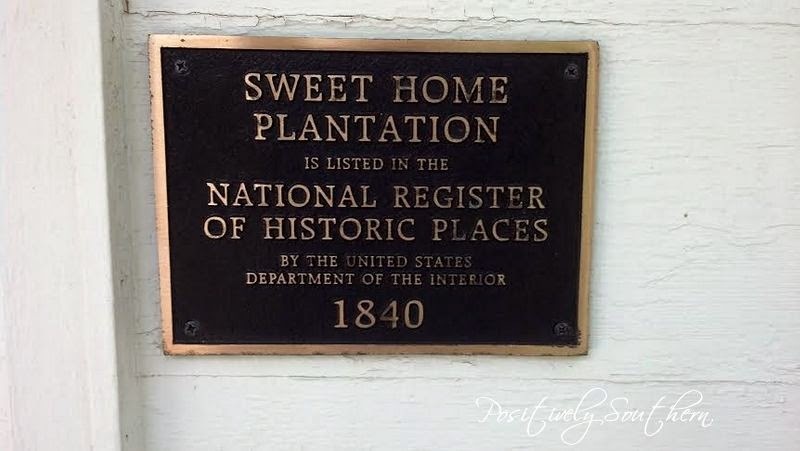 Sweet Home Plantation is on the National Register of Historic Places. 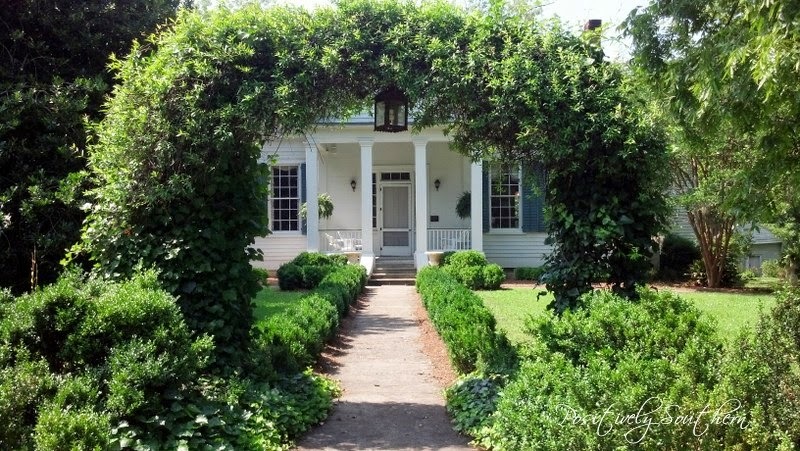 On the Plantation you can find wide sweeping vistas, original out buildings, a 3 acre lake and the grounds are maintained in a gorgeous manner. This photo is one I took this summer when every thing was green. To start the tour off, we will begin in the room that might be my fav. 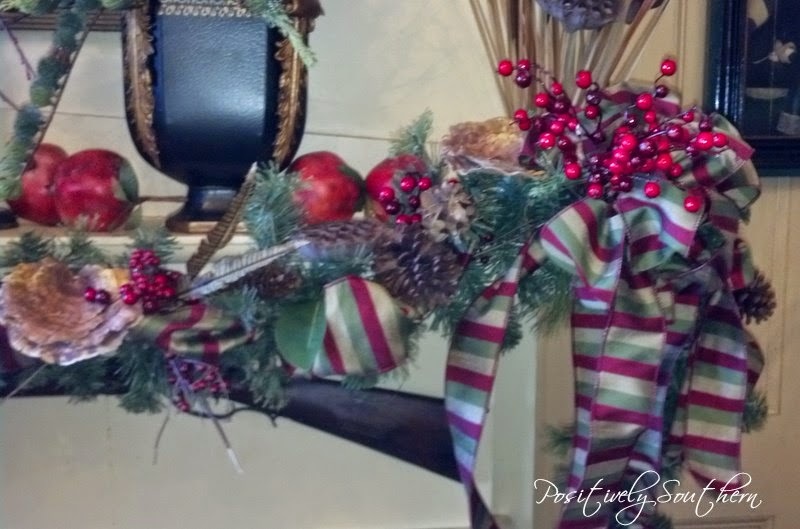 The mantle was spectacular in all of its Christmas glory! The natural materials used in the design process of the mantlescape come together to form a masterpiece. 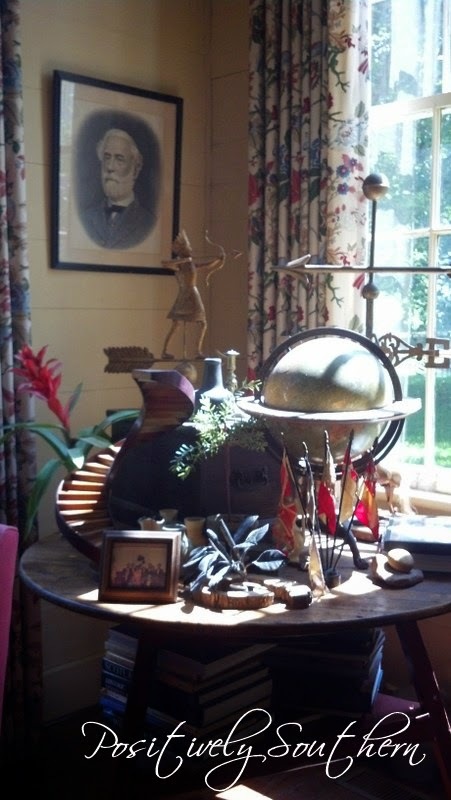 The cricket table makes me swoon every time I enter this room. They have it beautifully appointed with the most interesting items. 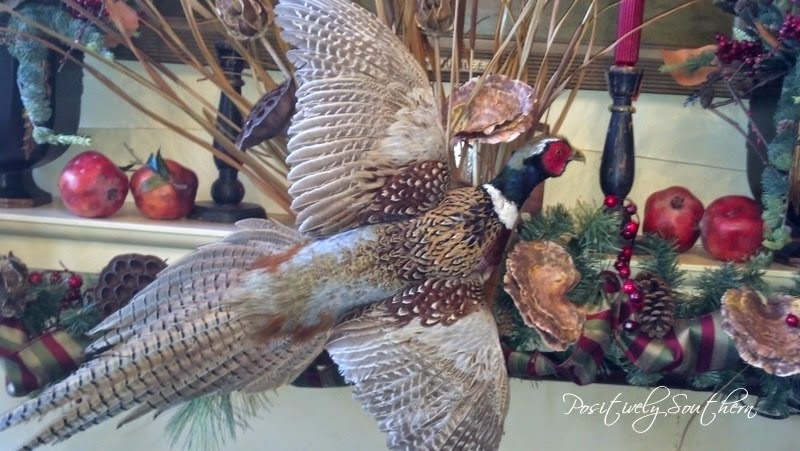 The weather vanes are an unexpected element for the table top. The other corner boasts an amazing chest. 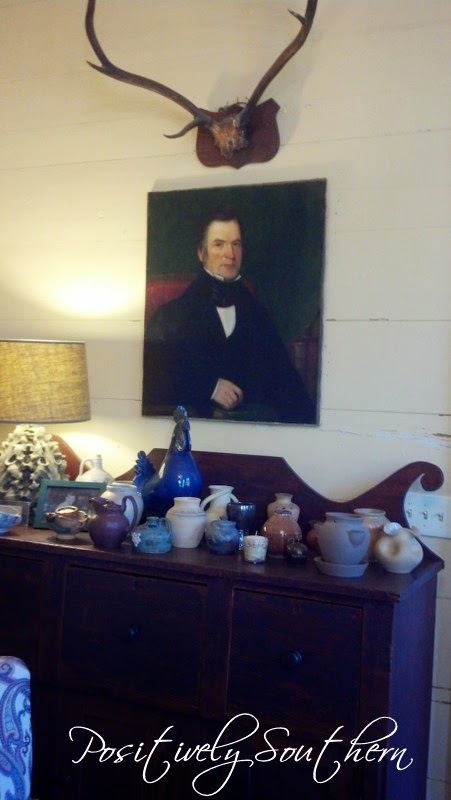 I'd love to know the history of this piece, along with the gentleman in the portrait! I hope I have wet your appetite for more of the fabulous home as I will feature a different room for the next few blog posts. So Ya'll come back now! Beautiful home! Thank you for the tour! It must be magical to live in a place like this! Beautiful....such a wonderful home inside and out! 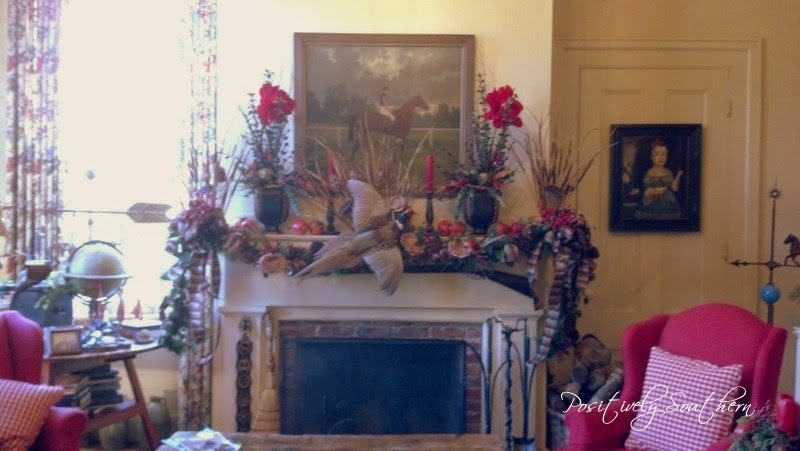 Beautiful home.....the mantel is gorgeous!!! !